Many social occasions, special services, musical and parish events of all types take place in and around St Vedast from month to month. Numerous livery companies and local firms hold their Christmas carol and other services or events here. 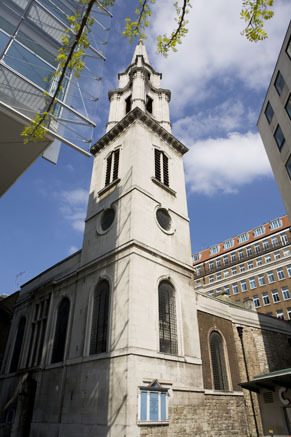 We provide a venue for the City of London for meetings, conferences, courses and away days – both secular and spiritual – throughout the year. If you would like to be notified of forthcoming events by email, or have a query about an event at St Vedast, get in touch with our Administrator via our Contact page. Mass is said daily Monday to Friday at 12.15 pm and usually lasts less than half an hour – perfect for a lunchtime break. Special saints’ days and other days of ecclesiastical significance as designated by the Church of England are generally observed on the weekday on which they fall, but are occasionally translated to the appropriate Sunday. 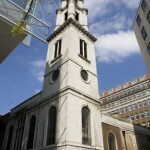 The main service of the week is a sung Eucharist with sermon at 11 am on Sundays. This features a wide range of music performed by St Vedast’s singers and Director of Music, Joseph Ramadan. A sociable coffee hour in the parish hall follows the Sunday service, to which all are invited.